"I'd like a Whopper with a Double Double and a chocolate glazed doughnut, please." According to multiple media reports, Burger King and Tim Hortons are currently in advanced negotiations to form a new company. Both companies are worth billions of dollars separately, which means that a combined entity would be one of the largest quick-service restaurant providers in the world. 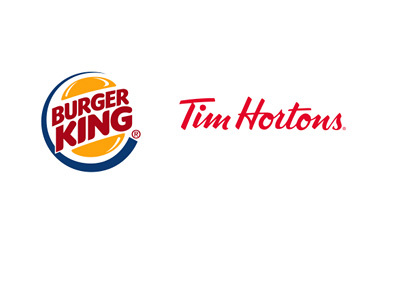 If the deal were to go through, the new Burger King/Tim Hortons company would be based out of Canada. The purpose? Canada has a lower base corporate tax rate than the United States, which would make this another "tax inversion" deal. Tax inversion deals have been taking a strong amount of criticism as of late (President Obama spoke out against them recently), and a recognized brand such as Burger King moving north of the border for tax purposes would likely not go over too well. Burger King is reportedly unconcerned about the growing movement against tax inversion deals, as there is reportedly no provision in their merger agreement that would terminate the deal if laws in the United States against tax inversions were to be changed. Tim Hortons is a phenomenally successful "coffee and doughnut" chain that is a staple of the average Canadian's diet. The company is much more than just coffee and doughnuts, however, as they also offer breakfast, sandwiches and gourmet drinks. The company, which has been making inroads into the United States, is a cultural phenomenon in Canada - you literally can not drive the street in any Canadian city without seeing at least one Tim Hortons. Burger King, on the other hand, has a very strong brand and is a steady contender in the global fast food market. According to reports, Tim Hortons is keen on this merger as it would give them access to a large pool of new potential franchisees who currently own Burger Kings. Shares of Burger King (BKW) are up roughly 22% today on the merger news, while shares of Tim Hortons (THI) are up roughly 21%. Again, the deal hasn't been consummated as of yet, though the talks are said to be in the very late stages.